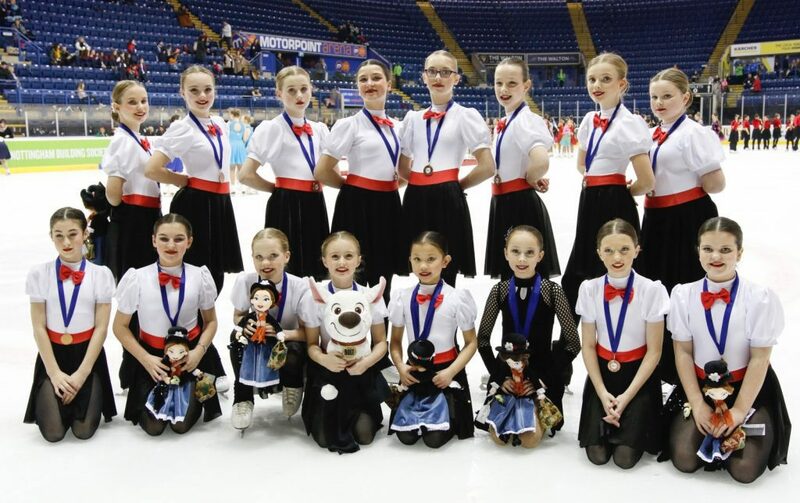 ALL four of the Dumfries and Galloway based Solway Skating teams that took part in this years British Synchronized Skating Championships held at Notingham last month came home with medals. 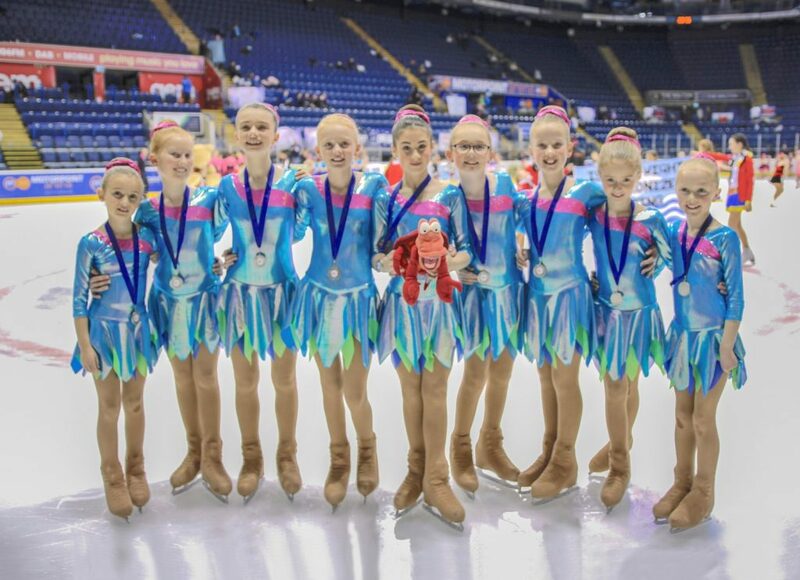 This years British Synchronized Skating Championships would take place on the 19th and 20th of January at the Motorpoint Arena in Nottingham which was opened in 2000 by Olympic champion Jayne Torvill. 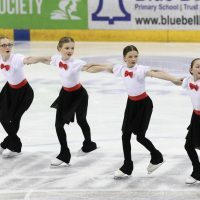 This years event would be screened live on the BBC iPlayer opening up the sport to a much wider audience, and all four teams from the Solway Synchronized Skating Club based at the Dumfries Ice Bowl would be taking part. A spokesperson from the Solway Synchronized Skaters who train at the Dumfries Ice Bowl told DGWGO ” Saturday saw the first and youngest of our teams Solway Comets( Main Image) take to the ice in the Elementary Section they were not daunted at all by the big arena and skated beautifully breaking their personal best score and winning silver position, the first medal won by a comets team at the British Championships. Also skating on the Saturday were the Solway Stars who would be performing the first of two programmes in the Junior b section, this team had won gold in Belgium and Cardiff and were still improving with every practise session, again the team gave a strong performance, skating beautifully and they would take a lead going into Sunday. There would be three teams skating on the Sunday, skating first was Solway Lightning skating in the preliminary section, this was a very competitive section and the team put in a brilliant performance to take bronze medal position and also achieving a new personal best score, only 0.3 points separated them from the silver medal position. The next team to skate were Solway Eclipse also skating in a tough section the mixed age category again the Solway team beat their personal best score to take the silver medal position narrowly missing out on the gold spot by 0.4 of a point but making a lot of new fans with their new routine. 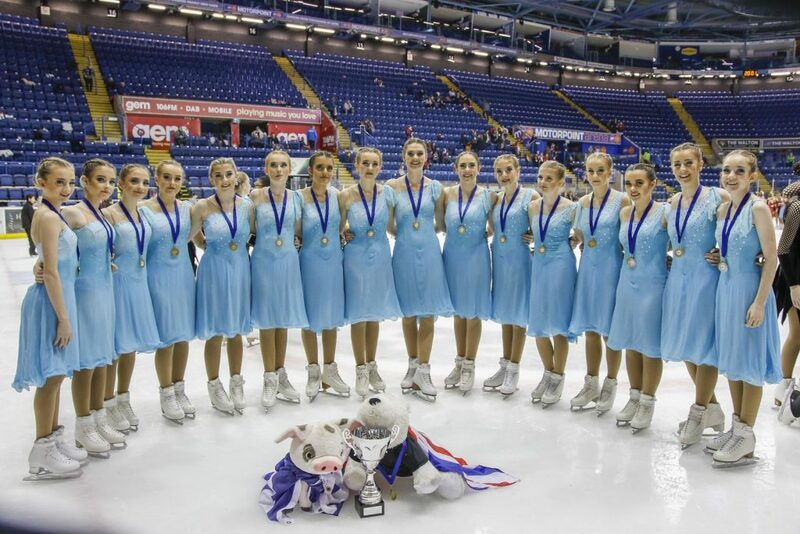 Last to take to the ice were the Solway Stars team, taking a lead after saturdays short programme they performed their free programme routine so gracefully prompting one commentator to say she had been mesmerised by their routine and this was reflected in the score, again breaking their personal best and the hundred point barrier with a score of 108.36. 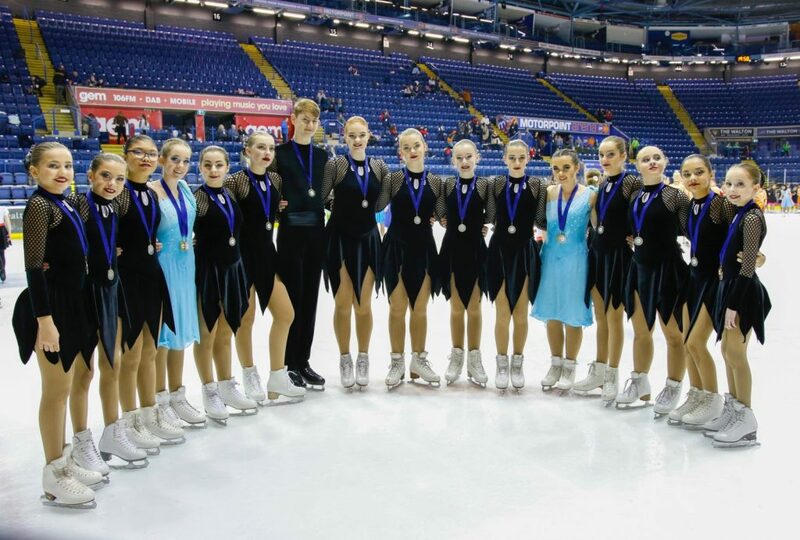 Once again it was a magnifficant weekend for our small skating club, with all teams winning medals and every team beating there personal best scores, the club would like to thank Head Coach Philip Carter and coaches Louisa Nairn and Julie Tyson who have devoted so much time and effort into getting the teams ready for competition, the teams really enjoy themselves on the ice and the results speak for themselves, the next event is the trophy d’ecosse which is held at the Dumfries Ice Bowl on the 8th, 9th and 10th Feb, come along and see our local teams in action as well as some great synchronized skating from teams around the world. 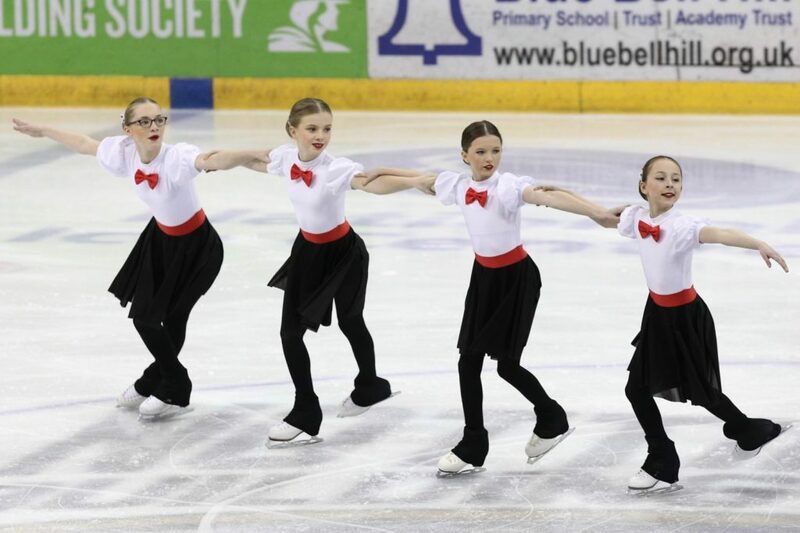 The Solway Skating Club would once again like to thank our sponsors, ANCBC Windfarms, Murray Ettle Dental Care, Cellfield and Kip McGraph, Klic Cars, Holywood Trust and Magnox we really could not do it without your help. 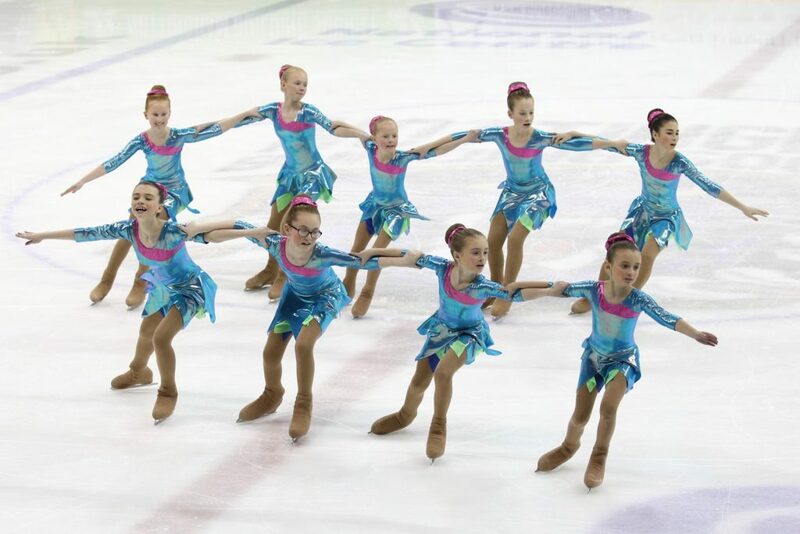 If you or your kids would like to learn to ice skate, the Dumfries Ice Bowl runs the Skate UK Scheme, the learn to skate programme where you/your child will be able to pass through 8 Levels from foundation to participation. For more information please get in touch with the Dumfries Ice Bowl on 01387 251300, E-mail Icebowl@dumgal.gov.uk or pop in and visit the information desk at the ice rink.